When Gratitude is Hard to Find, Look For it a Little Harder. So, finally, here I am with the much-delayed gratitude post for last month. Looking at the title you can make out last month wasn’t a great good one. I will correct myself further here – I just managed to get through it. The reason why I am dwelling on it here is that I think writing about it will make me accept the things as they happened and yes, writing always makes me feel better. The beginning of the month started on a sad note. A school friend of mine lost her younger brother; he had been fighting for his life and was in ICU for almost 1.5 months after meeting a drowning accident. He never came back. The image of my friend and her brother as I remembered them in school flashed in my mind for days. Such is the fragility of life – it happens to us when we are making other plans. My deepest condolences to the family and I hope they find the strength to move on in life. If you know about the law of attraction, you would know like attracts like - happiness attracts more happiness and misery attracts more reasons to be miserable for. That was exactly the case with me. Both my house helps took unexpected leaves- while one had her valid reason (sadly, her husband passed away unexpectedly – see the fragility of life again), the other one just vanished – it almost a month now. I hate to be so dependent on others, but with a super active toddler around I really need them. That is the sole reason why I barely got any time to attend to this space of mine. Hence, I chickened out of all the blogging events I had planned to be a part of. I have almost taken a voluntary break from food blogging for some time now. It doesn’t end here. Just when I thought I had things under control, the Little One fell sick. What seemed like a case of flu and viral fever lasted almost 10 days. Fever, cough, cold, blocked nose, doctor visits, medicines, and all the drama and crankiness that followed was enough to make me crazy. It almost seemed like I was back to the initial days of my motherhood journey – talk of sleepless nights, et al. My fitness routine also went in for a toss – no yoga or walks for half of the days in the month. And it made me more miserable. All this also ensured that our short holiday to Saputara, which I was really looking forward to for some time, had to be cancelled at the very last moment. But, you see life moves on. And we have to make the best of whatever comes our way. So, I took solace in books, friends, FIFA and online shopping. Whatever little time I managed for my own I read, sometimes at the cost of my sleep. I am still reading ‘Shantaram’ by Gregory Roberts Davis – while I have made good progress with the book, it seems like it will take forever to finish it. I also read ABC Murders by Agatha Christie and ‘The Fault in Our Stars’ by John Green. While both were great reads of different genres, I highly recommend the second one. I also availed every opportunity to meet up with friends over a cup of coffee – and I am ever so grateful to have them in my life. Good friends can brighten any gloomy day! While I am not a television person, this time I tried to catch up on most FIFA world cup matches and I must say it has been worth the time. Shopping definitely can make anyone feel better. So, I whiled away some time on the online shopping sites and bought a couple of things other than books. I also got the opportunity to bake a couple of times in the month and if you follow this space you would already know how much I love baking. The bottom line is there is always a silver lining. All we have to do is look for it. 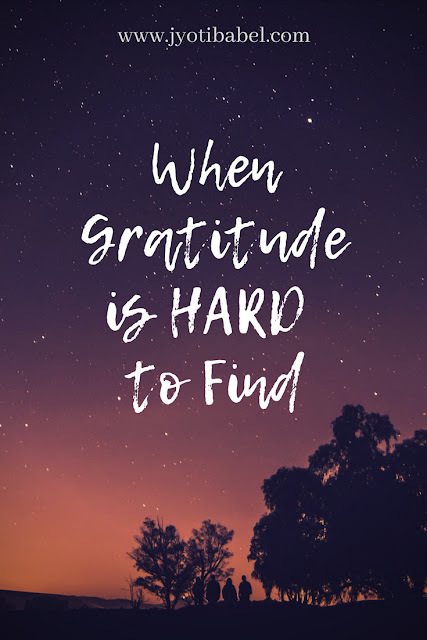 So, what am I grateful for this month? Nothing is permanent. So, live in the moment and enjoy whenever you can. Life can surprise you when you least expect it. No one is indispensable (not even the maids) and we are capable of doing more than we think. Time management is crucial – I am trying to be better at it and I am hoping this space will not be as deserted as it was last month. July has treated me well reasonably well and I hope it just gets better. I am joining Vidya's Gratitude Circle for the Month of June. You can check it out too for a liberal dose of Gratitude.